Our Career Services team recently travelled to Brisbane, Melbourne and the Gold Coast to meet with key industry partners of Le Cordon Bleu. Le Cordon Bleu’s Career Services team is an integral part of any student’s journey and as always, are a vital conduit between industry, workplace experience and our students. Along with meetings and visits to Sheraton Mirage Resort and Spa Surfers Paradise, Sheraton Mirage Resort and Spa, Palazzo Versace Gold Coast, Pullman Reef Hotel Casino and the Shangri-La Cairns and Queensland Performing Arts Centre the team met with Alumni and current students on work placement in the region. 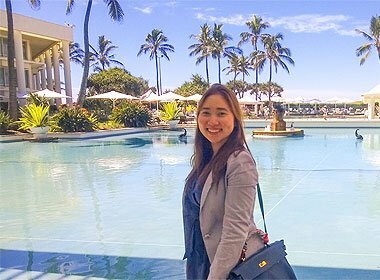 Our team also visited the beautiful Daydream Island Resort and Hamilton Island Resort where students can be placed for their Industry placement, a location sure to impress and renowned for its world class facilities, pristine beaches and dynamic lifestyle. While Ben Mayne and Grace Chompuchan were in sunny Queensland, Kerri Watton visited Key industry partners The Westin, LuxBite Patisserie and the Langham amongst others in Melbourne. With a new campus opening shortly in Holmesglen’s Moorabbin campus Le Cordon Bleu Melbourne is sure to be an exciting destination in the future for students wishing to complete their work based learning in what has been coined the “Gastronomy capital of Australia”. 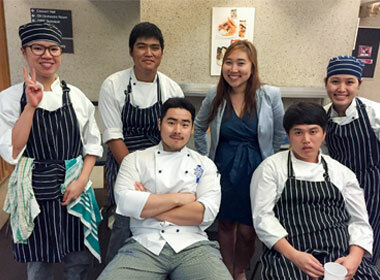 With a huge Le Cordon Bleu Alumni population, Melbourne boasts an enviable mix of cultures that has enhanced the “foodie culture’ that is currently sweeping Australia’s major capital cities.